Auschwitz: Not Long Ago. Not Far Away, hosted at Madrid’s Arte Canal Exhibition Centre, has exceeded 500,000 visitors just one year after its opening. The figures make it one of the most visited exhibitions in the Spanish capital in 2018. The project team has had to extend the closing date on two occasions due to public demand, but it is now being announced that it will finally close its doors in Madrid on February 3 2019. 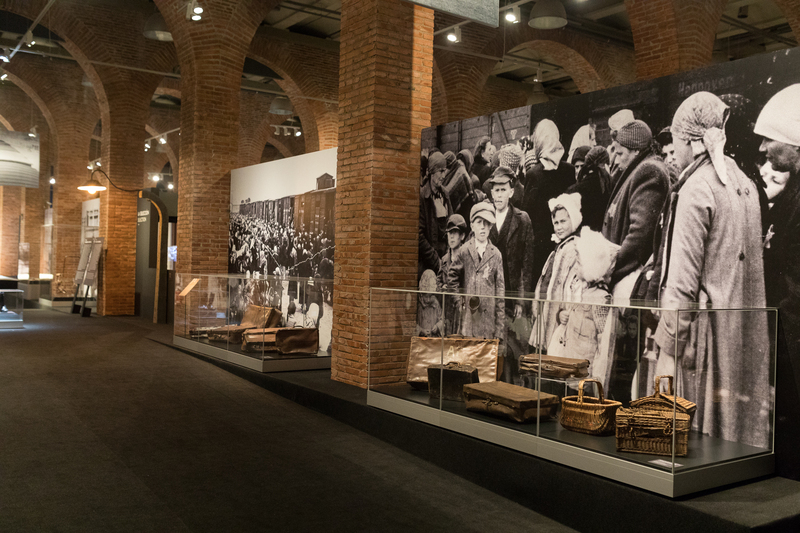 The Arte Canal Exhibition centre, which used to house one of Madrid’s water reservoirs, opened its doors as a cultural venue in 2004 Auschwitz: Not Long Ago. Not Far Away is one of the most visited events in its 14-year history. The exhibition continues until February 3 2019 and is open seven days a week from 10am to 10pm. Tickets are still available. During Christmas and New Year the exhibition will be closed on December 25 and January 1. On December 24 and 31, it will remain open from 10am to 3pm.